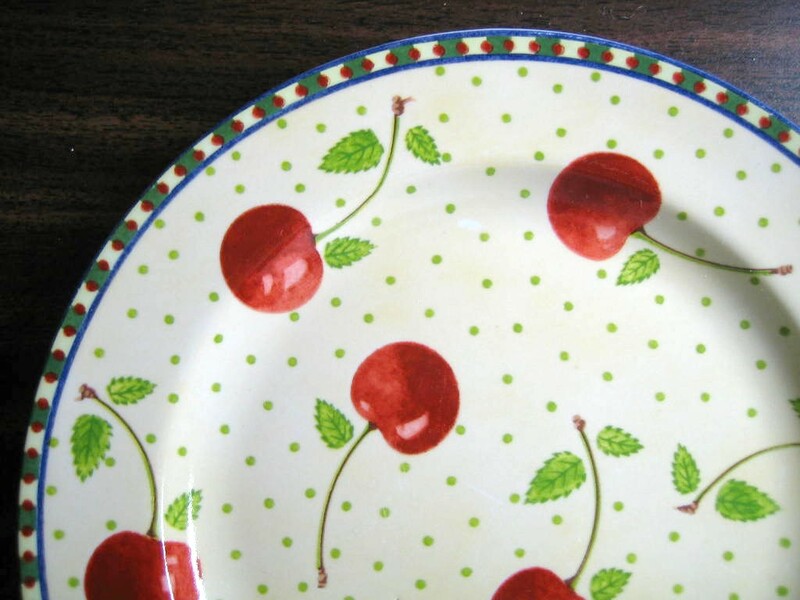 Click the button below to add the Red Cherries Green Leaves Dots on Pale Yellow Edge Medium Plate to your wish list. 8". Bold and fun! 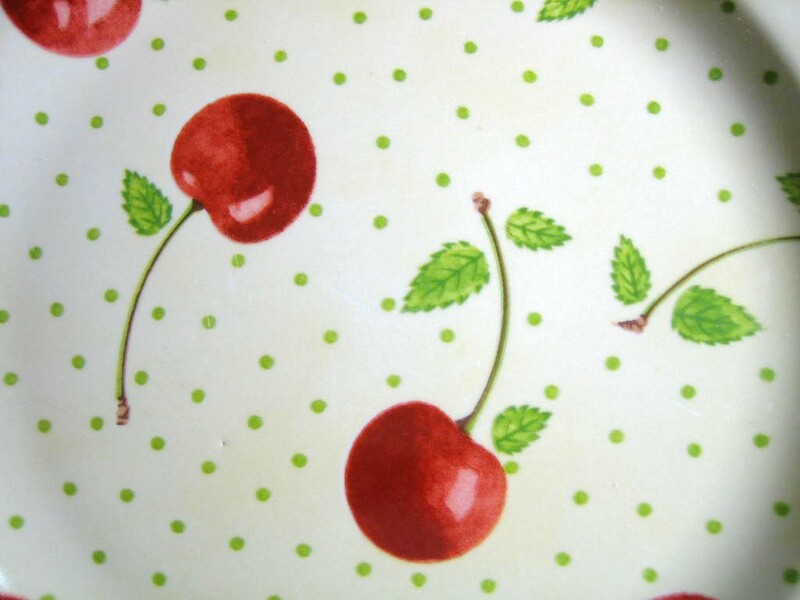 Red, blue, and green edge trim.